This is the first of our guest sessions in which we’ll have artists with a variety of musical projects, yet all closely related to dark ambient, create a mix of their own music for us. For this first mix, Pär Boström will be showcasing a song from each of his musical projects in a seamless mix, as per This Is Darkness usual recipe. Pär Boström has been one of the most revered names in the dark ambient scene for almost two decades now. His emergence coincided with the birth of Cyclic Law, both artist and label owing successes to each other in those early years. While Kammarheit has been releasing albums since the early 2000s, many of Boström’s projects have cropped up over the last few years. Along with the emergence of his relatively new label Hypnagoga Press, which is run alongside his sister Åsa Boström, who is also the other half of Hymnambulae. The other project to include a second member is Altarmang, in which Pär is accompanied by Kenneth Hansson. It is also worth noting here that while Bonini Bulga and Teahouse Radio have only recently had their debut releases, these projects have been with Boström for years, awaiting a proper time to fully animate themselves. 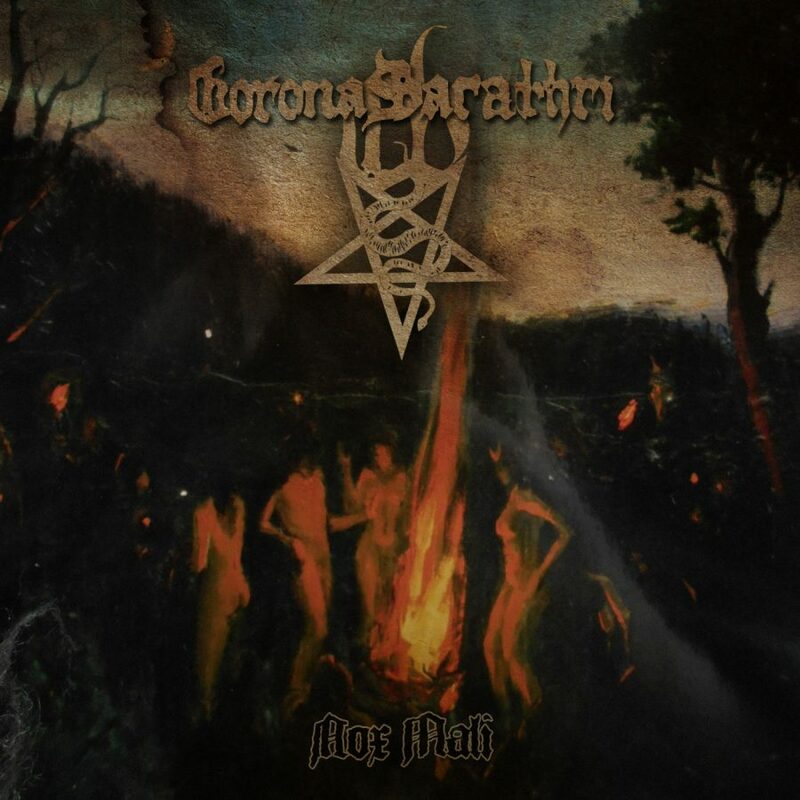 Corona Barathri is a group of devout Luciferians from Russia and Ukraine who perform and record ritual invocations dedicated to the Diabolus. 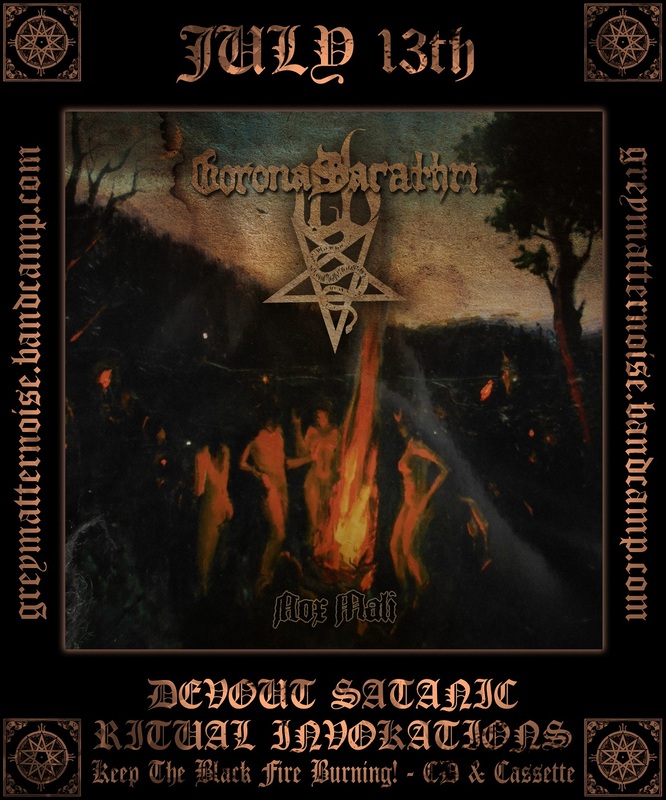 The group has collaborated with ritualistic musicians such as the infamous Michael W. Ford and under the banner of great ritual ambient labels like Black Mara Records. 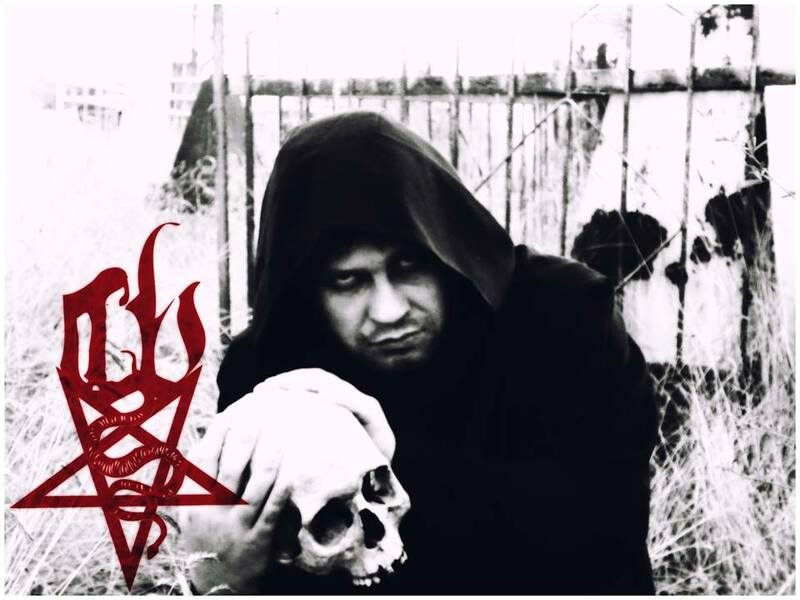 Nox Mali was recorded on the eve of the Great Sabbath and contains a collaborative track with fellow Luciferian ritual ambient group Antelogos, out of France. The track is 21 minutes of dread-induced hypnosis. The swirling and startling strings that sit atop a layer of thick and foggy drone set the mood. Ritual ting-shas, Tibetan singing bowls and a steady flow of light and airy chimes complement the atmosphere by inducing a sense of something greater being called to the forefront, as Latin invocations are both spoken and sung. Suddenly the mood shifts, massive pounding drums are introduced, terrifying the soul. Waves of thunderous distorted noise move in and out of audible range, as if the devil himself were breathing down your neck. All this, only 6 minutes into the ritual invocation. Spirit filled with Evil is embodied in black souls. Heirs of the Great Abyss. Night of Evil, Night of the Nights, Night of the Triumph of Evil Force, Feeding the Fire with our blood. Samael is the Father of Sins, the Source of Death. 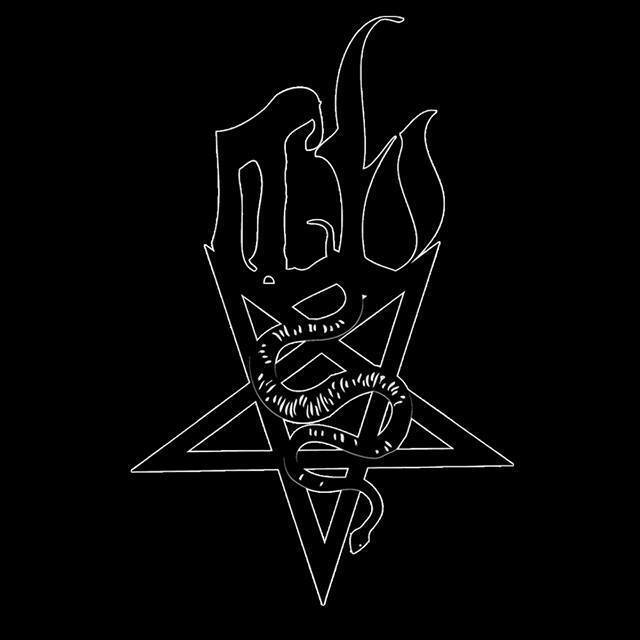 Childs Of Nahema – Sons of Perdition, Dark Warriors, curse to god, curse to the world, curse to mankind. Honor Satan with your shed blood, evil word and evil deeds! One Heart – One Essence. Northaunt is the main project of Hærleif Langås from Trondheim, Norway. Northaunt is a dark ambient project that is mainly focused on recreating the feelings of frigid climates and regions through the medium of dark ambient music. Though, Northaunt is not strictly tied to this format, since some releases will focus on different elements or different styles of music. On The Borrowed World, Northaunt focused on creating a post-apocalyptic soundscape, which would be fitting as an aural companion to the novel The Road by Cormac Mccarthy. On Istid I-II, Northaunt split the two section of the album into light and dark, which was further made clear on it’s vinyl release: Istid I, on white vinyl, and Istid II, on black. 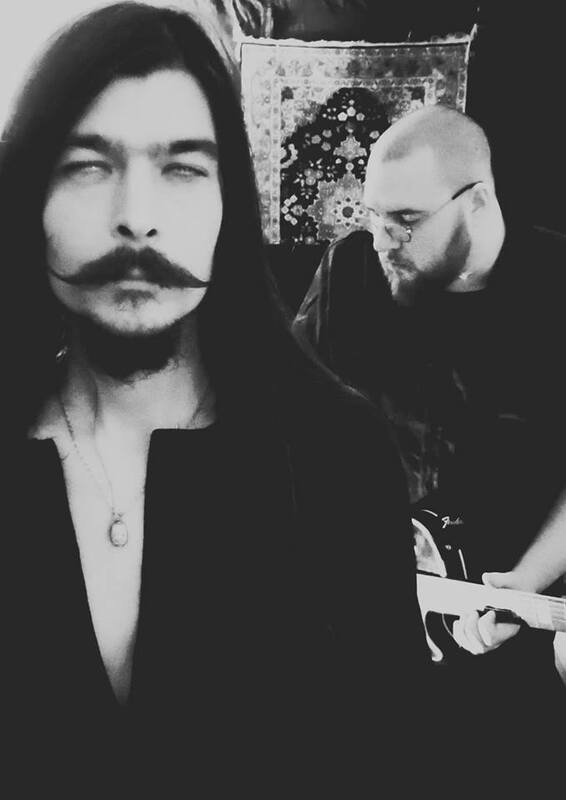 Northaunt started out as a duo, with Ketil Søraker (the man behind the current project Taphephobia) as the other half of the project, with Hærleif Langås. Their first release was The Ominous Silence, originally released in 2001 on Fluttering Dragon Records. This initial iteration of Northaunt took a more active approach than the later albums. The Ominous Silence featured guitar, piano and vocals which all added a more “band-like” feel to the music. The following album Barren Land would be the last to include the contributions of Ketil Søraker, and this album kept much of the active elements present on The Ominous Silence, but was already beginning to move into a more subtle and strictly ambient/drone direction. Horizons was the true turning point in the sounds of Northaunt. Horizons was the first full length Northaunt release on Cyclic Law, as well as the first to be created solely by Hærleif Langås. It was a more subtle yet equally brooding release, which garnered significant praise from the dark ambient community, and is still looked at fondly to this day as one of the greatest releases in the genre. Yet, after Horizons, Northaunt would not release another full length album until almost a decade later in 2015. During this lull in activity by Northaunt, Hærleif Langås was not inactive. 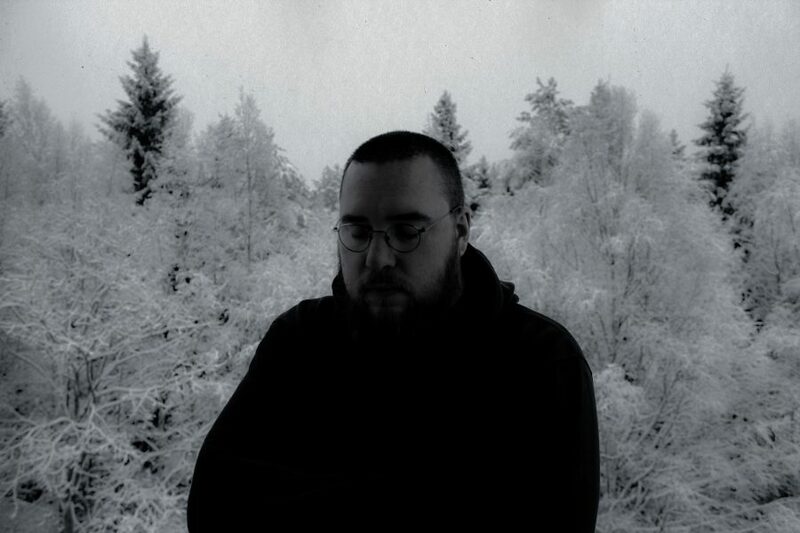 2007 saw the sophomore release of Syk Asfalt by his side-project Non Ethos. 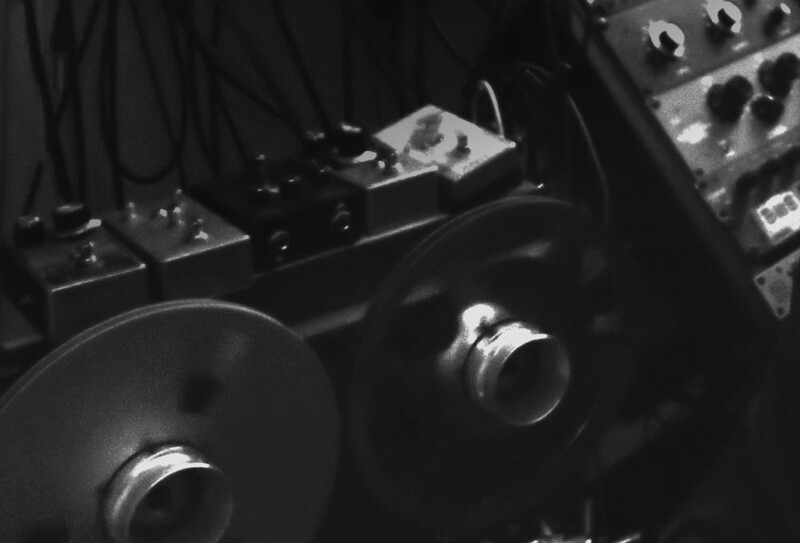 Non Ethos was the most experimental of Langås projects, and focused on manipulations of field recordings to create the majority of the soundscapes. 2008 saw the release of Exit Lines by The Human Voice, another side-project of which he was the sole contributor. The Human Voice is the most personal of Langås projects, focusing on human emotions as its inspiration and containing samples and piano to give it a more personal touch. The Human Voice would later release its second album (and one of my favorite releases by Langås) Silent Heart in early 2016. In 2011, his third side-project Therradaemon released its debut Den Mørke Munnens Språk. Therradaemon could be considered black ambient by some, and has a harsher, darker edge than any of his other works. In 2012, Mulm, a project which saw the reunion of Langås and Søraker along with fellow Norwegian musician Avsky, released The End of Greatness, a bleak and abstract dark ambient album. Istid I-II released in 2015, again on Cyclic Law. Istid I-II follows the basic framework of Horizons by focusing heavily on subtly shifting drones to create meditative and atmospheric soundscapes. Coming to the present we have been able to gather some information from Langås which will give us an idea of what to expect from Northaunt in the relatively near future. Langås recently conducted a contest which allowed fans to submit ideas for an album name. The winner was Matt Brown, who submitted the title ‘Night Paths’. Northaunt released a track on our recent compilation, This is Darkness Presents Vol. 1 Dark Ambient, entitled “Beneath The Ice”. Langås later stated that this track would be included on the upcoming album Night Paths. After Night Paths, we can expect the release of Istid III, the proper full length follow-up to 2015s Istid I-II. Langås said of this release in June 2016 on social media “I have been invited to release something on renowned Italian label Glacial Movements, a label that specializes in drone and “glacial” ambient. It is one of my own favorite labels so I’m happy to announce that I have started making music for what I hope will become Istid III.” Langås later gave some more news about this release, in a recent interview with This Is Darkness, “The album is done, I worked really hard to have it finished by early 2017 since it was supposed to be released this year, but when it was done I got a mail telling me the release is postponed till January next year, I was quite disappointed.” Lucky for us, January 2018 is just a few months away and we are sure to have plenty of great music to enjoy on Night Paths to hold us over in the meantime! Find out more about Northaunt in our recent interview with Hærleif Langås here. Altarmang is the musical project of Kenneth Hansson and Pär Boström. They contributed the second pre-order/preview track to the new compilation This Is Darkness Presents Vol.1 Dark Ambient was created by Altarmang. We should all be familiar with the works of Pär Boström. He is best known for his project Kammarheit. Later he started the project Cities Last Broadcast, which has grown to a level of almost equal fame as Kammarheit. Over the last two years, Pär began the label Hypnagoga Press with his sister Åsa. The two have released three issues of The Solar Zine so far on their label, along with the album Orgelhuset, the debut by their shared musical project Hymnambulae. If you’d like to get a more in-depth look at what Pär and Åsa Boström have to say about their Hypnagoga Press, I recommend you read my previous interview with the two of them, which can be found here. We were first introduced to Kenneth Hansson on the album Void, by Altarmang. Void was first released as a cassette exclusively packaged with The Solar Zine Issue No. 2, which is now sold-out, though you can still get copies of issues no. 1 & 3 here. ”They depict this process as a creative as well as a spiritual one. Altogether the album Void was re-worked and completed during five sessions. Each session started with preparing and burning incense, to set space and center. ’Kenneth is a real alchemist. He chose what herbs to use and explained their unique quality. 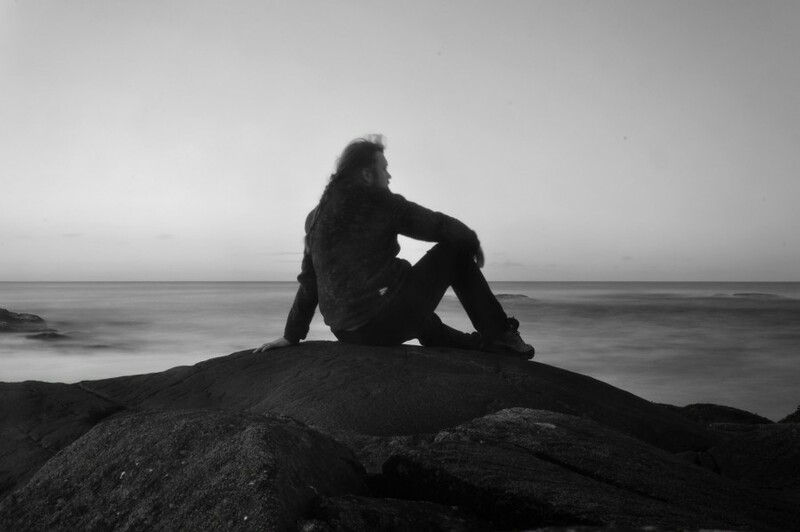 I sat next to him, inhaling the atmosphere, letting my mind wander’ Pär says. – Interview with Altarmang, The Solar Zine, issue 2. The album was well received and was quickly picked up by Autarkeia for a vinyl release, which can be found here. Shortly afterward Cyclic Law announced that they would be releasing the album in a CD digipak version along with two more previously unreleased tracks. That version is set for release on 22 September 2017 and can be found here. In preparation for the digipak release Altarmang have created a music video for the track “Salamander” one of the new tracks that will be included on the Cyclic Law version of Void. The first track on our new compilation This Is Darkness Presents Vol.1 Dark Ambient is by Aseptic Void. Aseptic Void is the project of Davide Terreni of Montopoli in Val d’Arno, Italia. He started out his musical endeavors with an academic training on the violin. 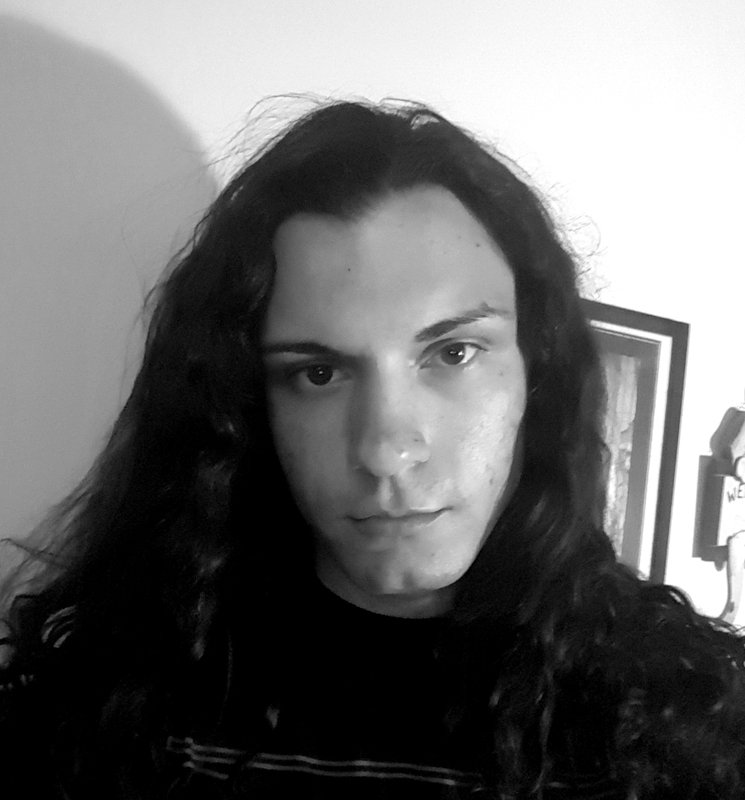 In 2009 he began his dark ambient project Aseptic Void. In 2013 he released his first album, Carnal. Later that year, he would go on to release his second album, Psychosis, on the Cryo Chamber label, which at the time was just building its foundations. To date, Aseptic Void is probably the most well recognized for his soundtrack to the video game The Town of Light which was released in February of 2016. Aseptic Void uses a combination of dark ambient and experimental music to create crushingly dark tones. His sounds could likely be classed within a sub-genre which we could loosely call horror ambient. He often exhibits his paintings and they have been used several times for his album covers.